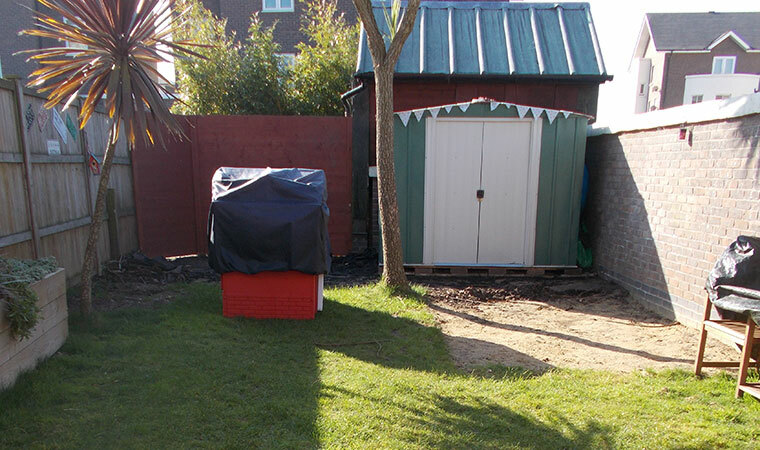 We were asked to make the back garden of this property in the Docklands, London more child friendly. The owner was a registered child minder so it was very important that she had a great outside area where kids left in her care could play safely. 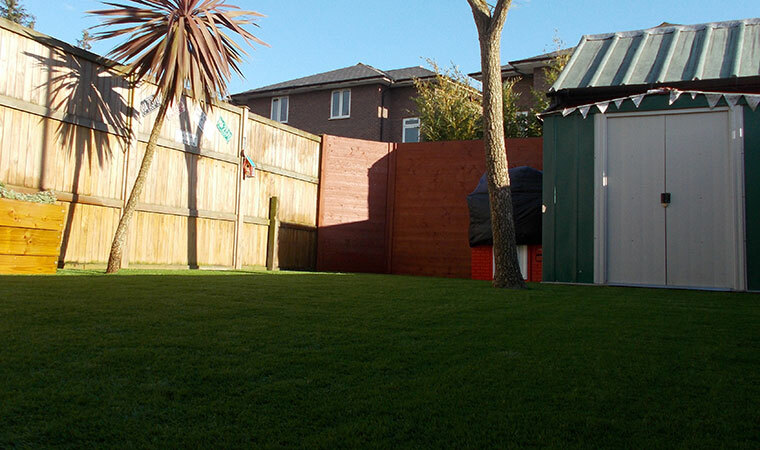 Artificial grass was the ideal choice because it is not only soft and has a cushioning effect, it is mud free so the kids can go home clean – well cleanish! To prepare the groundworks for this job we removed 5 cubic yards of turf and soil, we attached a membrane to prevent weeds growing through the grass, we put in fixing timbers to attach the grass to before finally adding 5 tonnes of type 1 and 2 tonnes of granite 0-5 mm. It was only then that we could fit the grass. For this particular job the Rectory was chosen for its soft fibres. Perfect to comfort the falls of any toddlers!